When Fila names a shoe “Cage Delirium,” you know subtle is not what they’re looking for…This shoe wants to stand out from the crowd! In fact when I first walked on to the court in these new Filas, my tennis ladies immediately started razzing me about all the fancy new shoes I’ve been trying out since getting a job here at Tennis Express. My friends were definitely impressed by these shoes. 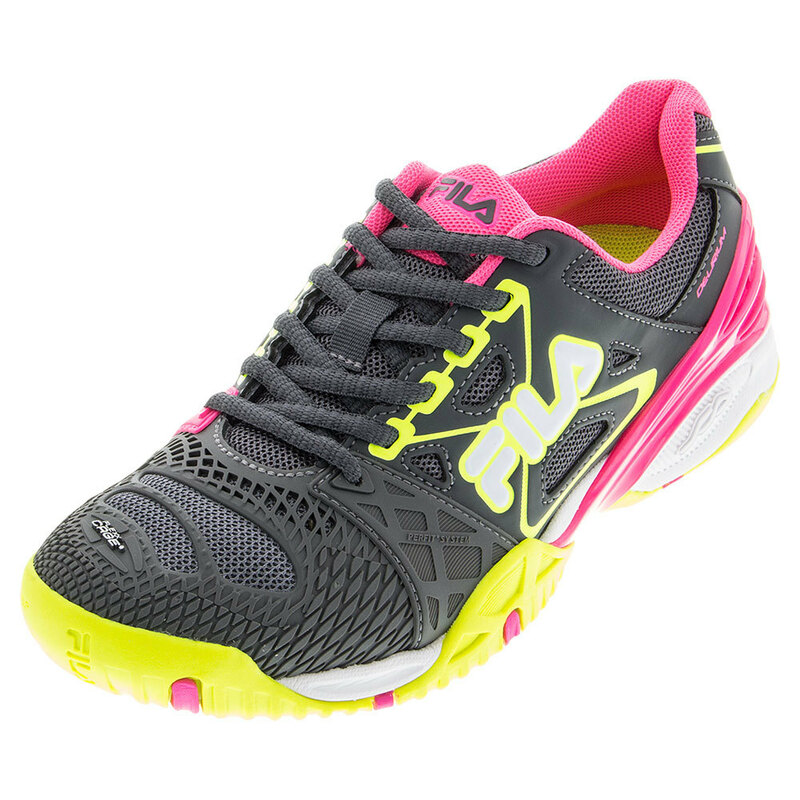 Of course, I was going bold with the Knockout Pink and Purple Pennant color because I believe in going big or going home, but Fila also makes this shoe in a Dark Shadow color with Safety Yellow accents. I wouldn’t exactly call that version of the shoe demure, but bold colors make for bold play on the court! The lightweight Cage Delirium shoes are made for quickness. They have a low profile, so you feel connected to the court surface the first time you wear them. The forefront of the shoe is super flexible, which makes it easy to make quick cuts to either side. If you frequently play teams named “The Alley Cats” or “Alley Gators,” consider buying these shoes. You’re going to need to cover the court laterally. Of course, there’s also those ladies that play on teams named the “Hot Drops” or the “Hot Lobsters” that are going to keep you running forwards and backwards no matter how long your arms are. These shoes will keep you covered in that situation, too. The toe box is roomy enough to protect your pedicure on hard stops and the tread will give you great traction as you calmly chase down those lobs. I was also really impressed with the pivot point on the tread of these shoes. At first, I just thought it looked cool, but I did notice that it made turning easier during points. It’s positioned in the right spot to facilitate quick turns and pivots. 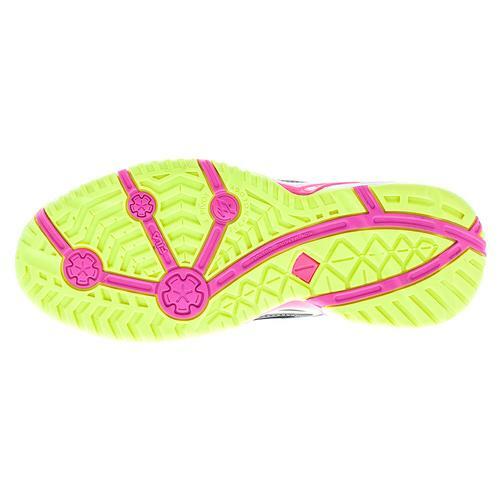 These shoes are perfect for warm climates, with maximum breathability thanks to the mesh insets. Whether you play on hard court or clay, these shoes will vent well, but still keep the rocks out. I wore them on both surfaces and won both times. I’m not saying they’re lucky…but what if they are? I think I’ll wear them a little longer before I make my final call on that. Don’t let your luck run out! 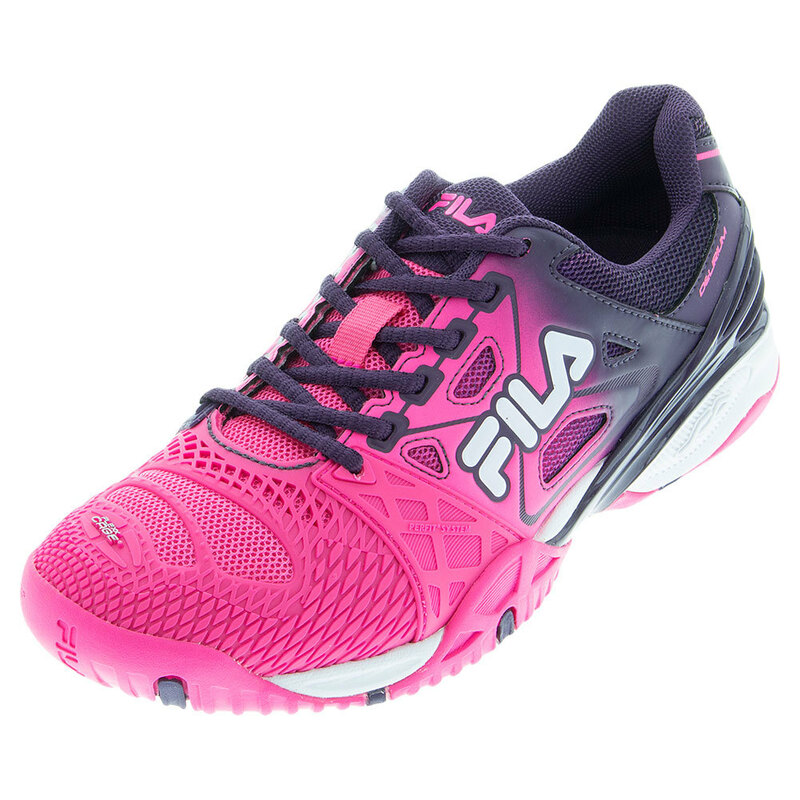 Get your own pair of Fila Cage Delirium Tennis Shoes today at Tennis Express!